I managed to reduce my body fat by a full albs and drop me body fat % from 10.6 to 9.6 over that 5 week period. My lean body mass stayed exactly the same so I essentially dropped into single digit body fat without losing any lean mass. Brad managed to drop about 1 lbs of fat and went from 12.3% body fat to 11.6% body fat and even more impressively he gained 3lbs of lean body mass and 2lbs of overall bodyweight…BUT even more impressively Brad set a goal of gaining that lean body mass specifically in his back muscles and the DEXA scan confirms this is exactly what happened. In fact every single pound of lean mass gain was shown to be from back muscle development. This podcast marks the end of season 1 of the uncensored podcasts. We are taking a month break between season 1 and season 2. Season 2 will follow a new format that will see the podcasts change to a bi-weekly format (2 per month) that follow a monthly theme. Each month will be a different theme (ie: fat burning, muscle building, supplements etc). Podcast 1 will start the discussion and there will be interactive material for you to follow along and implement what you’ve heard in the podcast. Podcast 2 will continue the theme and build from the material. The goal is for you to learn and master a new skill each month. 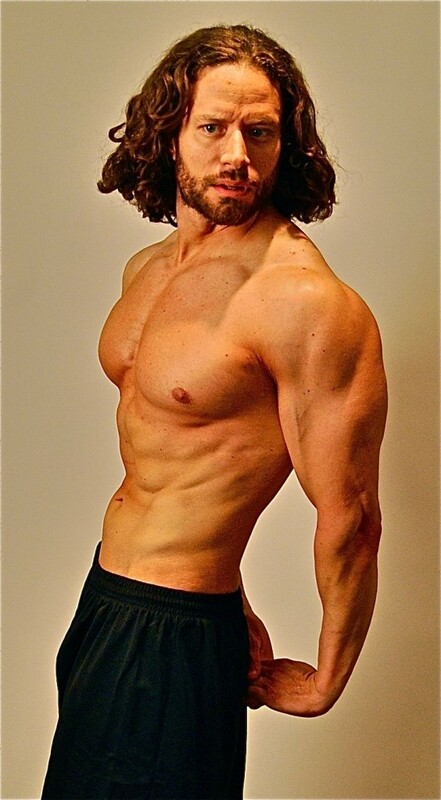 By the end of season two if you choose to go through each month you will have learned and mastered 12 new techniques to add to your diet/fitness/exercise tool belt. Stay tuned for more information. 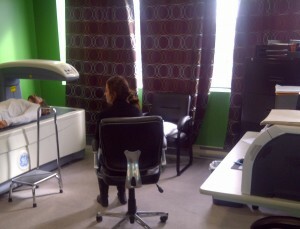 Special thanks to Salima and Sarah and the Bone Wellness Centre for helping us with our scans and interpreting our data. If you’re in the southern Ontario area and want to get a DEXA scan done they are the only gig in town. They’re top notch service providers, super nice, and will give any of our customers a discount on their DEXA scan if you just mention our names when you make your appointment. A special note about getting a scan done with Salima and Sarah. If you go to the Bone Wellness Centre for a DEXA scan they will give you a discount and we ask that you share your data with Brad and I for our ongoing development of diet and workout programs. I’m going to the clinic tomorrow to teach Salima and Sarah how to collect the Adonis Index measurements. This way we can correlate a picture, with AI measurements as well as the DEXA results to get a true indication of what makes up the AI shape. 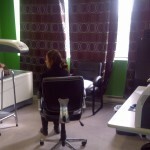 This is a win win as you get a discount on your DEXA and your information will help us make better programs for you. “Cardio” You’ve heard the word a thousand times but do you really know what it even means? It’s likely that you have your own definition for what it means. Just about any activity you do that increases your heart rate beyond resting can be considered cardiovascular exercise. How much 'cardio' will you do? And there are likely others that have slipped my mind…but you get the idea. 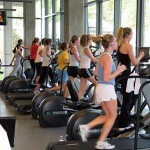 Cardiovascular exercise is definitely beneficial for your overall health. You may have noticed that “fat burning” isn’t on this list…and that is because cardiovascular exercise alone cannot cause fat burning unless it’s combined with caloric control. Yes it’s true that all forms of exercise burn more calories compared to sitting around doing nothing…but the amount of calories they burn is typically much less than most people think. 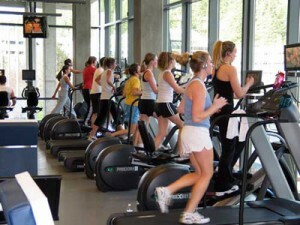 And this is the bigger issue that most people are concerned with when it comes to ‘cardio’. Most people don’t give a s#!t about all the above mentioned health benefits of cardio…what they really want is to get lean. In todays podcast we’ll discuss how important cardio really is for getting lean and how to approach it and incorporate it into your workout. Burning fat requires a caloric deficit. In simple terms this means you must consume less total calories that you expend/burn in a given period of time. Most diet/fitness commentators will speak in terms of calories per day, but this seems even too short of time frame for most people to keep on top of. I like to teach people to view their calorie needs on a weekly basis and try to create a deficit as measured from the stand point of their weekly calories instead of their daily calories. This means you can have a day or two of being even or even slightly above your daily calorie total as long as you have more days below your calorie total need. This way you can bank on having a few days per week where you get to eat a little more than other days. You can more easily accommodate a social eating schedule in this pattern of higher calorie days and lower calories days vs a specific strict calorie total that is the same every day. So, if you accept that a caloric deficit is what is required in order to reduce the amount of body fat you are carrying the first step is to get some sort of idea of how many calories your body needs to maintain your current weight. 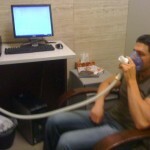 In most cases this number will be slightly above your Resting Metabolic Rate (RMR). You can find many RMR calculators online with wildly different results, this is because these calculators are based on equations that have various assumptions built into them. They are good for producing an approximate average for ‘most’ people, but they are never 100% accurate for any one person. Add an even more erroneous ‘activity’ factor calculation and these calculators can have you believing that you need to eat hundreds of calories more than you really do. Question: How do you find out what your RMR likely is? Answer: Have it clinically tested! Brad and I went to get our RMR’s clinically tested and in todays podcast we’ll talk about the procedure, the results, and the inherent biases, and margin of error that are associated with even a clinical RMR test. It’s not perfect but it’s the closet estimate you’re going to get to your real RMR and depending where you live it’s not that expensive either. Understanding what makes up the look and shape of your body can help you determine what your focus should be with your diet and training program. There are multiple tools you can use to learn about your body including simple items like a scale, camera, mirror, measuring tape, and fat callipers. These tools are cheap and give you some quick metrics to help guide you towards your fitness goals. I’m biased towards the measuring tape and mirror as I believe the Adonis Index measurements and the look you have in the mirror the most useful metrics you can possibly get. The combination of your AI measurements and your visual look should be the final say however there are other more sophisticated measurements that can also be of benefit if you want to learn more about your body. The two we will be talking about today are called DEXA and BodPod. Both of the measurements techniques require an appointment at a clinicians office as well as a small fee for use. Both devices provide very accurate measurements of fat mass vs lean body mass and will give results within 1-2% of each other. The DEXA specifically gives very detailed data on where your body holds it’s fat mass as well as showing your bone density and if you have any imbalances from one side of your body to the other in lean mass. If you’ve got the time and cash I recommend getting a DEXA scan to find out what your true body fat % is and where that fat is stored on your body. No other device can give you this level of detailed information. 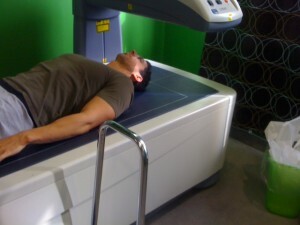 If you really want to know how your body is built, the DEXA is the new gold standard for finding out. Combining the information from the DEXA with your mirror look and your Adonis Index measurements will be the most informative set of data you can possibly get about your body composition. Here are some pictures of Brad and I after we got our DEXA scans done. 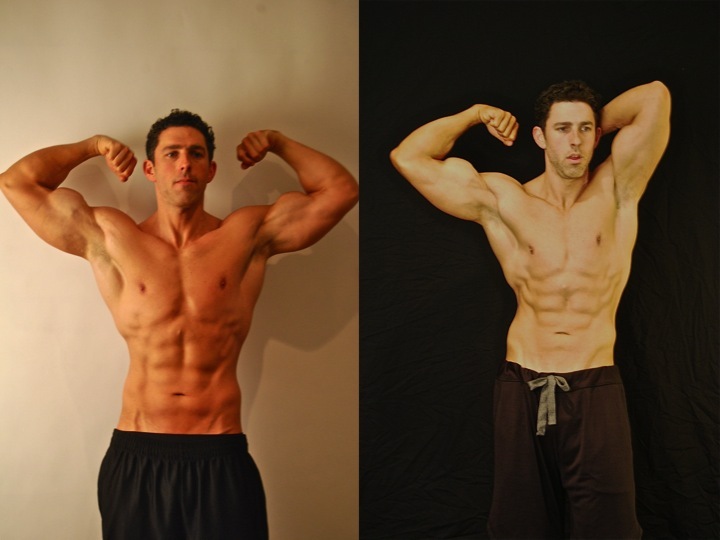 I’m 10.6% bodyfat in these pictures (as measured by DEXA). 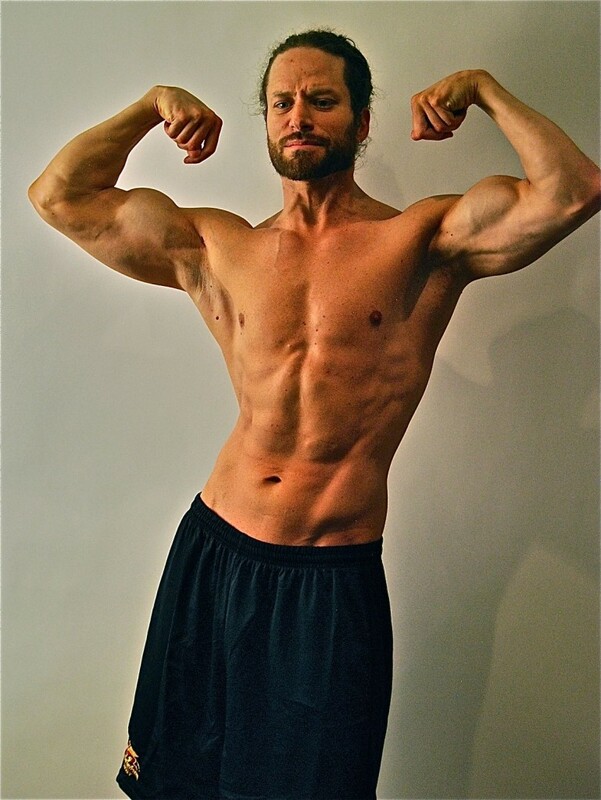 Brad is 12.3% bodyfat in his pictures (as measured by DEXA). The modern industrialized western civilizations that most of live in share a common characteristic..and that is the label of being an ‘obesogenic environments’. It seems that as our societies become wealthier the people that live in them eventually become heavier. Food abundance, variety, accessibility and low cost make it almost impossible to avoid overeating without some degree of self restraint and attention. 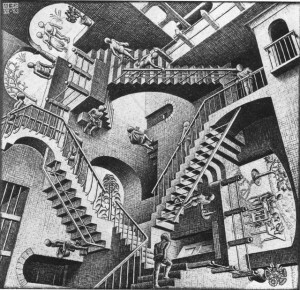 As an analogy you could imagine that you’re a fish in a fast flowing stream. If you go with the stream you will gain weight. If you swim hard enough to stay in the same spot you’ll maintain your weight…and if you swim even harder you can actually start moving up stream and lose weight. This is generally how you must view the environment you are living it. It’s a constant flow or push towards weight gain. If you don’t actively put energy into fighting this you can easily be washed away into the flow and start gaining weight just like the rest of the population. Until we find a way to overhaul the entire society that you live in, it will always take some amount of effort on your part to either lose weight or maintain your weight without gaining unwanted fat. This is a fact of life and of the current societies we live in so you might as well accept it and get used to it. In todays uncensored podcast we’ll discuss how this unrelenting force towards weight gain seeps into almost every social interaction and how you can learn to deal with it. You’ll learn how feelings of envy, guilt, pride, shame, and suffering all play a role in the way people will react and interact with you. The look and shape of your body will be viewed from a relative standpoint compared to everyone else. You can be the most ‘in shape’ person in one room, but then be the most ‘out of shape’ person in another room depending on the company you are keeping. The type of social reactions and interactions you experience are also dependent to some degree on where your body and fitness level is compared to everyone you’re surrounded by. With the Adonis Index we remove this fitness relativity competition between individuals and give you a metric to only compete and compare yourself to yourself. This is a key factor to learning to be proud of your own body and not worry about what other people think. If you allow the judgement of other people to affect the way you view your own body you will quickly become just like them. It’s your job to take your health and fitness into your own hands and also be proud of your accomplishment. You’ve got to be satisfied with your body and building a great physique has to be a positive and motivating experience. It’s the only body you’ve got and the effect it can have on your life is too important to leave your satisfaction up to the subjective feedback of other people. Pounds Gained, Pounds Lost: Do Macros Matter? 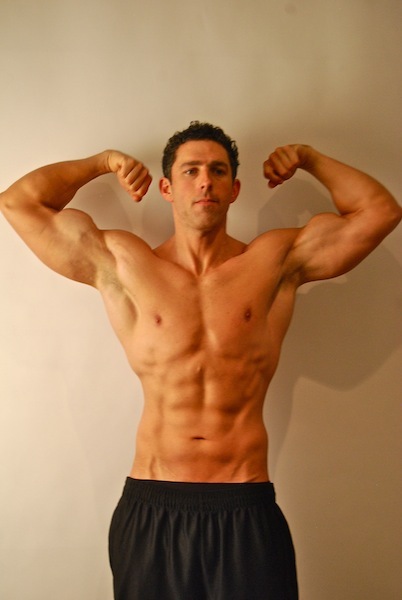 Dieting for both fat loss or muscle gaining can be as simple or as complex as you make it. 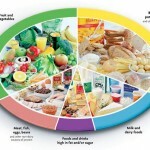 You can choose to eat one meal per day or six. You can cut out entire food groups and specific items such as sugar, grains, anything ‘processed’ (whatever that means) and on and on. You can choose to have a pre workout supplement and specific post workout shake/supplement/ritual. 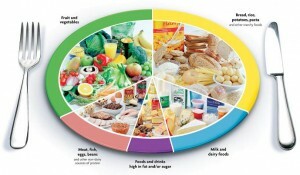 You can choose to go low carb, low fat, high fat, high protein, balanced macro nutrients etc. Any and all of these strategies can work if you take care of your total calories and your workout program. What should your plate look like? I want to know the simplest answer to get the results I’m after without complicating it any further than it needs to be. Two new research papers were just recently published that shed some light on this subject and can help answer this question. This study was looking at 4 different types of diets for weight loss. The difference in each group was the ratio of protein to carbs to fat for a duration of two years. The interesting part of this study was that the people in it were living freely and only following advice/instruction from the investigators. This is about as real as it would get to what would happen if you or I just picked up a diet book at the local bookstore and tried to apply the system on our own. This experiment shows us quite accurately what happens when people try to follow a diet on their own without any support from a clinical research setting. This study looked at three different protein levels on total weight gain. They were trying to find out that if people overate the same amount of calories but with different ratios of protein, would their weight gain be different? Or to say it another way, would the higher protein group gain more lean body mass instead of fat mass? 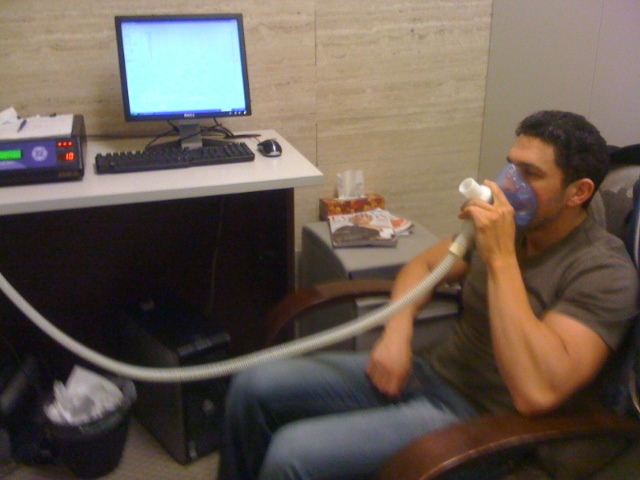 This study was very strictly controlled and the people in it were living in a metabolic ward only eating the foods provided and had their metabolic rates tested. Everything was done strictly and everything that could be measured was measured. In short, this study was the complete opposite of the first study we reviewed in every way. In todays podcast we’ll discuss the findings of these two studies and explain what the relative merits are of these two types of study designs. You’ll learn if manipulating macronutrient ratios in a free living setting can affect weight loss, and you’ll also learn if manipulating protein content can change the type of weight you will gain if you over eat. You’ll also learn a bit more about how nutrition research is done and how to be a smart consumer of diet and fitness information.